Not to be confused with Market Square Music, Market Square Records is the seven inch only label started by Paul Messis. Not content to create his own idiosyncratic garage pop, he had to take on the financial pit of starting a record label that only releases seven inch. A label practically handmade for me by an incredible musician, I understand the urge to want to share this stuff with everyone and Paul is handpicking people working outside the usual commercial avenues to press up. 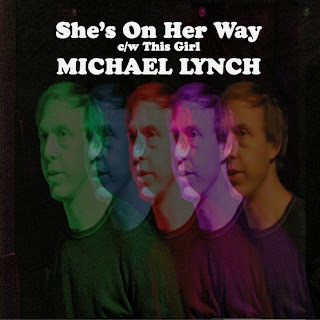 In this case Michael Lynch seems to be working alongside Paul completely nailing and updating that '60s garage sound, not much available about Michael online and I wouldn't be surprised to hear of a collaboration between these two or a split covering each others material in the works. A-Side's "She's On Her Way" I think it takes guts for Paul to be putting out something so closely related to the stuff he's doing. This tight, precise garage harmony jangle that echo's so closely the late '60s is the only way I know about the original stuff, something this immediately catchy and perfectly crafted always has me looking backwards to the source of this kind of genius. It's beyond me entirely, I can't even begin to figure out how either of these guys end up with a sound like this. My dad used to listen to this texture on a transistor radio in the garage endlessly working on his car except it was the same twenty classic songs from the top forty over and over. It's so perfectly nostalgic I'm right back in that place. This is complex and crafted to get the sonics of that time period down with such precision that I wonder if Paul didn't have anything to do with this or vice versa. I wouldn't be surprised if he was getting his hands dirty turning knobs. I can also see how these two would have sought each other out, they're exactly dealing with the same concerns. A perfect fit for Market Square, exactly what I hoped Paul's label would be putting out. Further explorations in an alternate universe of contemporary psych pop. The heavy rattle from the snare, the perfect slight chord changes, the optimism, sounding perfectly sunny in the way the fuzzy surf does. This is tied to that English countryside montage, like Raindrops...and Paul Newman on a tandem bike. It wasn't from that time period either but made perfect sense. Bouncing along, dense with melody and separated percussion, craftily separated into layers like a painting on piled up panes of glass that caught at the right angle all line up and it's amazing. B-Side's "This Girl" brings out the tambourine and a cymbal kind of sound, high hat clanks and sleigh bells all piled over each other into a new kind of snare tapping away. 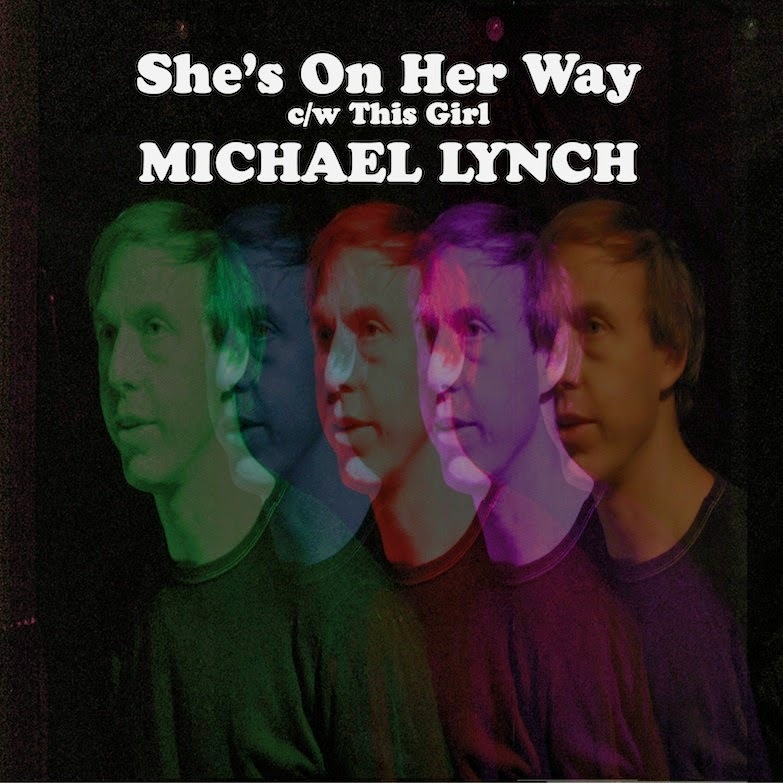 Michael's high register vocal never gets falsetto, it's a sad reminiscing tempo of a track with all the casual catchiness of Real Estate with a heavier lean on the pop sound. Some kind of tin pan alley pop from the building in Llewyn Davis churning out the hits. Alright boys you're up next. This is your one shot for Columbia records and he doesn't get rattled for a second. This has been living in them... now there's no huge studio or radio stations that still play singles, it's 2013 but someone is still in love with that sound and working with it on the highest possible level. Michael and Paul have continued where that era left off and create tracks that work on a different level than anything from that era, a couple decades too early and too late.